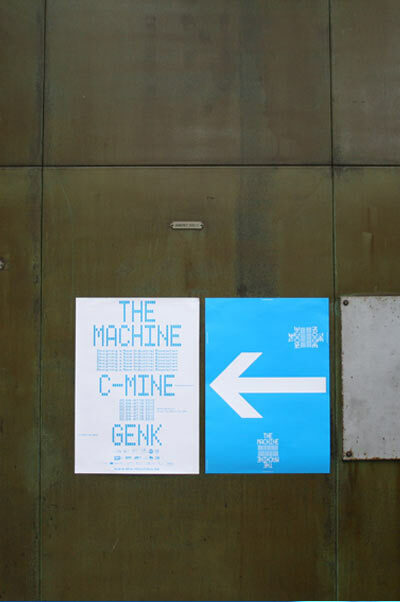 The Machine posters by Simon Davies, Rotterdam. 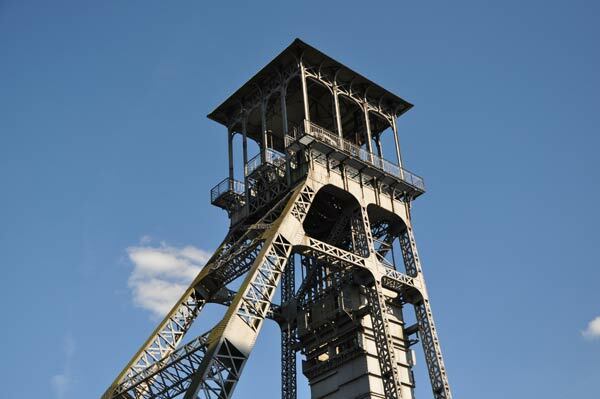 Begin of the year I was asked to be involved in the project management of an exhibition that is placed in a former coal mine at C-mine in Genk. 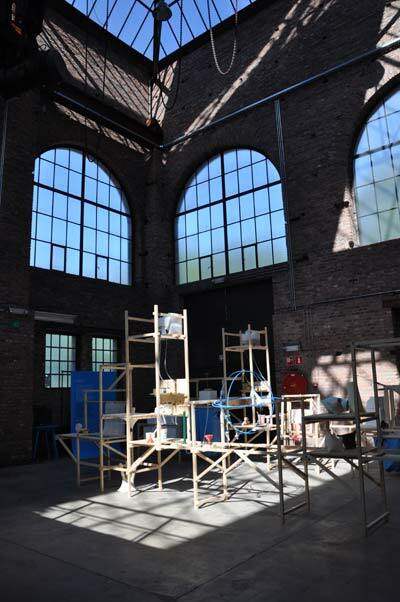 The curation of the vision of a ‘designed a new industrial revolution’ is done by Jan Boelen, the artistic director of Z33, house for contemporary art. 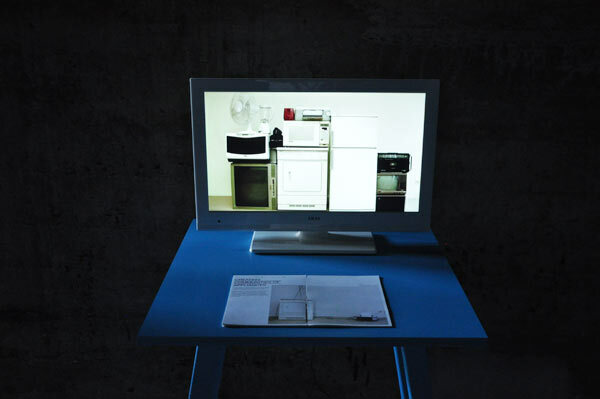 The cyan blue colour that is used in the scenography refers to the blue screen used for production techniques in the film industry. 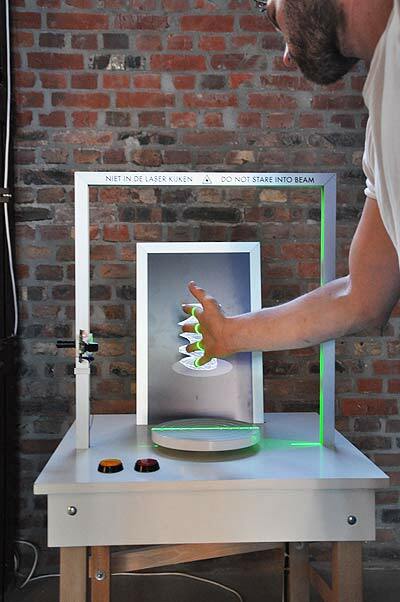 The Machine projects the future of manufacturing by designers. 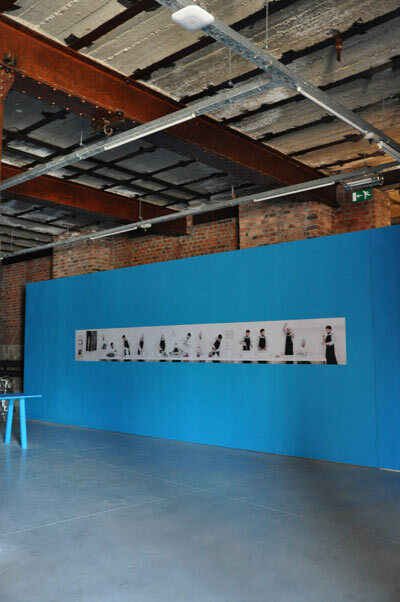 The exhibition opened its doors last month. I finally took some time to feature the various projects here. But if you are around, you should see it yourself. 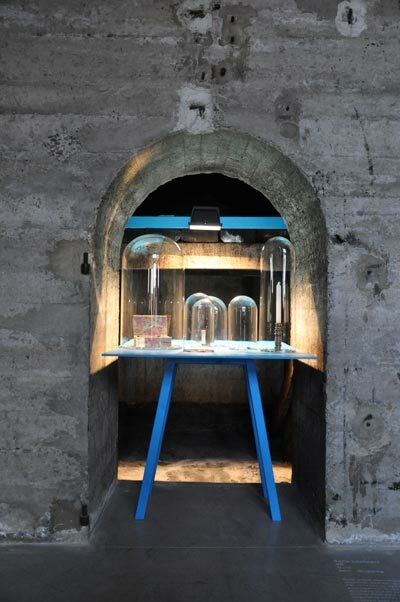 Set between the heavy disused machines of the coal mine, the exhibition is dedicated to all mine workers that worked under poor conditions to obtain coal from the ground. 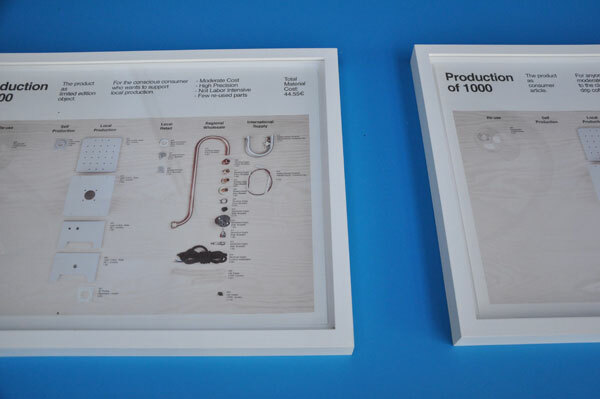 The exhibition catalogue is separated in two parts: the cyan blue booklet refers to the concept and presentation of all projects. 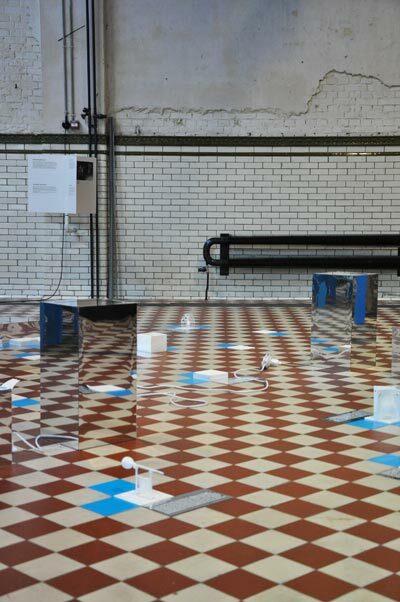 The grey booklet explains the historical context of the location and the extensive programm including 3D printing workshops and happenings where you are able to learn how to hack your unwanted technical devices and give them a second life. 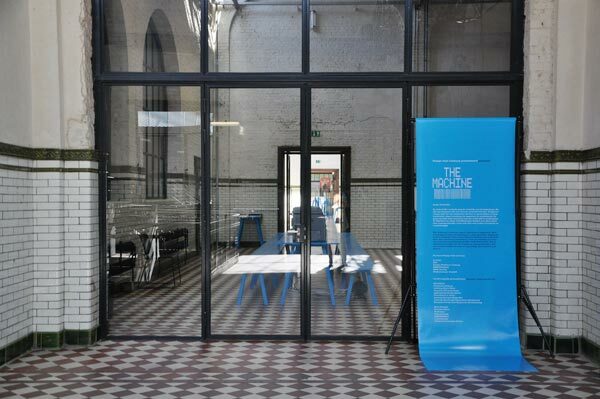 More on The Machine website under program. 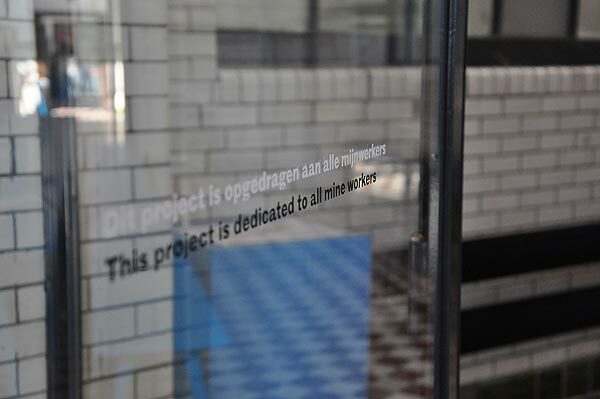 Twenty projects got a temporary home in order to be presented to wide audience. 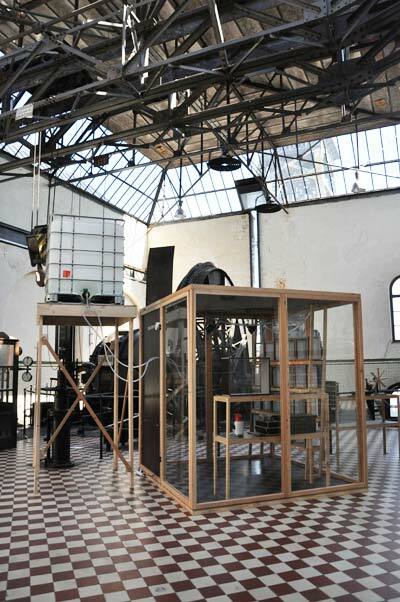 Amongst all of them is ‘The Creative Factory’ by Thomas Vailly and Itay Ohaly who build two assembly lines for production in order ro reclaim control over their own creations. With “Botanica’ Andrea Trimarchi and Simone Farresin from Formafantasma reaveal the unexpeced technical potential of natural polymers. 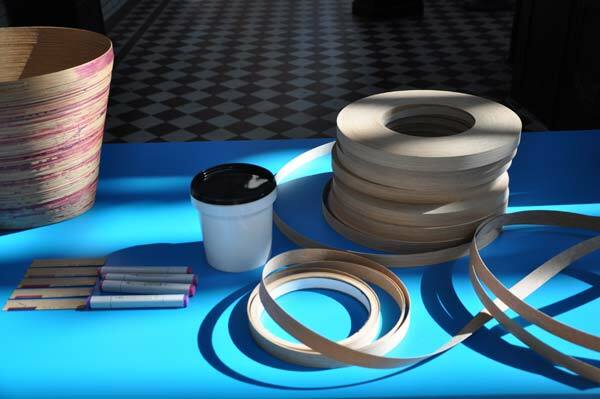 Mischer’Traxler‘s maschine starts manufacturing basket’s when it gets attention from the audience. A needy machine, that bears the unique traces of the interest in its own fabrication. 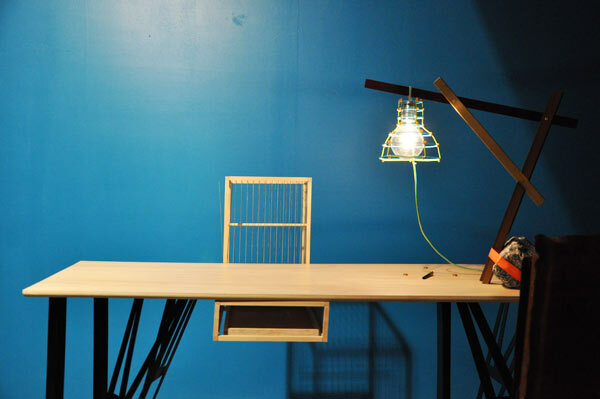 “Design & Chaos” is a non-linear methodology that aims to produce furniture. The invited participants contribute to the design process without knowing what the other person comes up with. 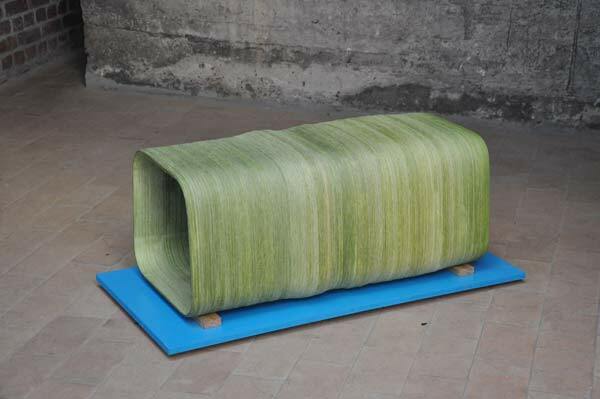 At the end Itay Ohaly collates the individual contributions into a system that makes a final piece. Flatform goes back from 3D to 2D. Christian Fiebig transforms computer generated shapes into flat shapes that should be assembled at home with your own skills and aesthetics. 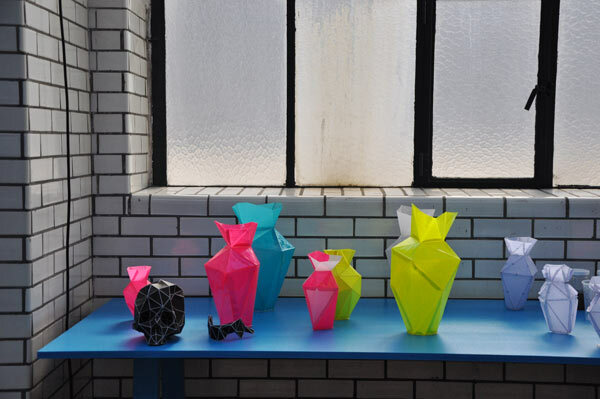 The result is a series of vases that were glued together, painted in various bright colours and got a layer of resin in order to serve as a authentic vase. Money is a reflection of past and present. 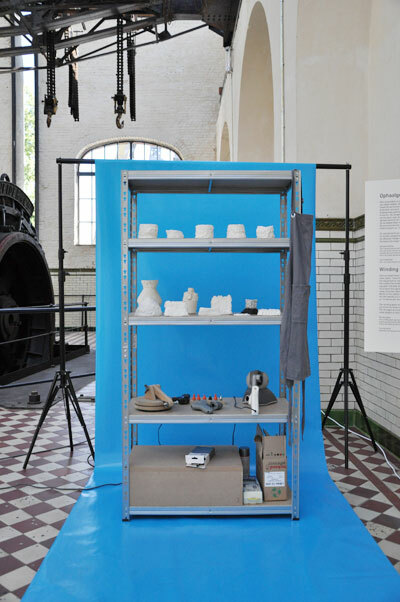 Sofie Lachaert tranforms the value of money by making new objects with it. 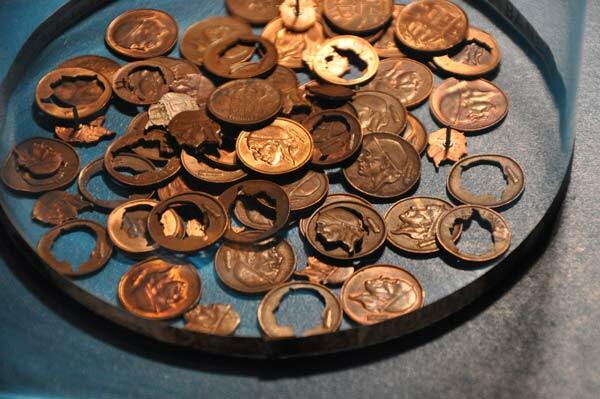 The Belgian designer provide the old coins and dated notes with a whole new meaning. 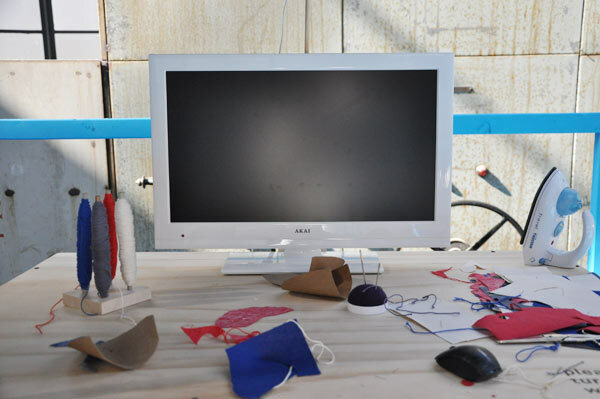 ‘Hacking Hope – All I want to do is make some money’ replicates the industrial processes used to make money. 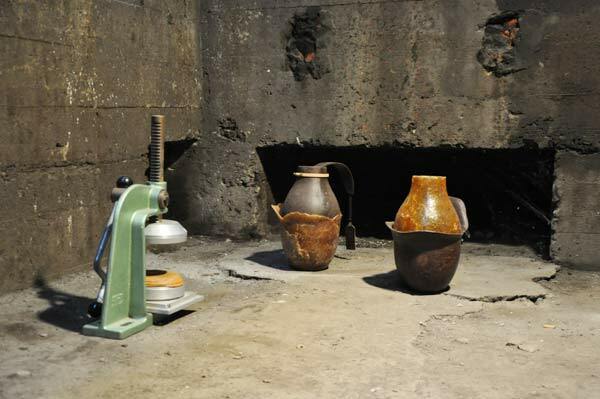 Juan Montero Valdez used domestic appliances to copy that process. “Haptic Intelligensia” by Joong Han Lee combines the idea of the 3D printing process and the ability of a human to be involved in that process. 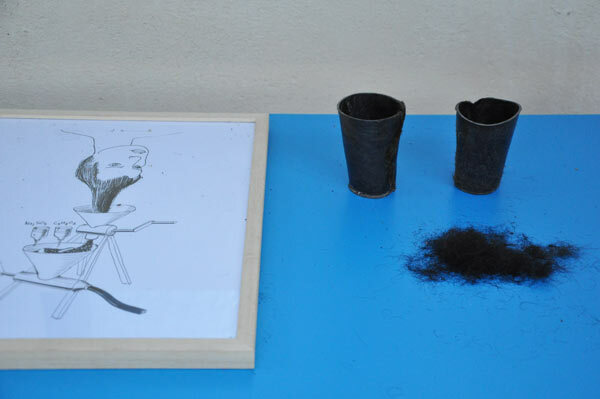 L’Artisan Electronique is pretty much what the name is about – it is, similar to Joong Han Lee’s project a combination of human made craft and technologie. 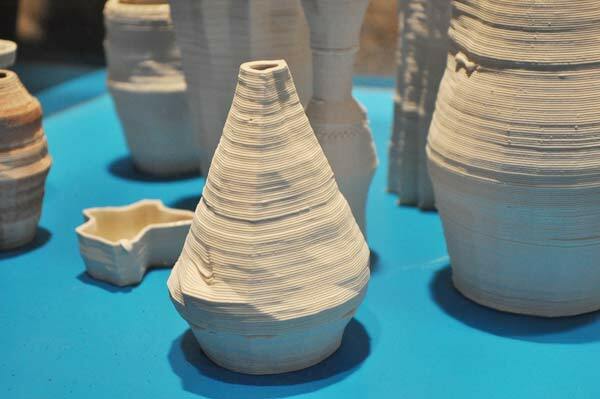 If you think of the future in pottery, think about Unfold! The project by Tal Erez references at the socio-political implications of a third industrial revolution by hinting at possible futures it might summon. 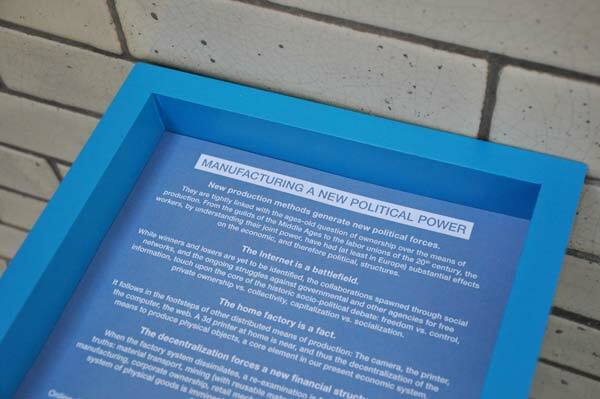 The Israeli designer wrote a Manifesto about ‘new manufacturing processes generate new political forces’. 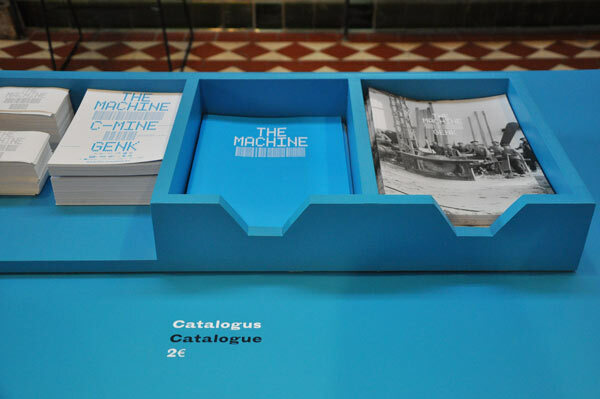 You can take your own copy when you visit the exhibition. OpenStructures ia a modular construction system designed to build freely upon. 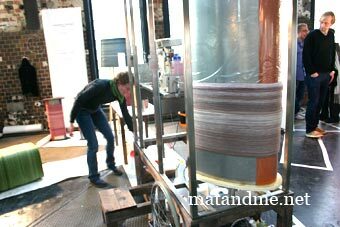 This one is the OS WaterBoiler. Made with OpenStructures components. 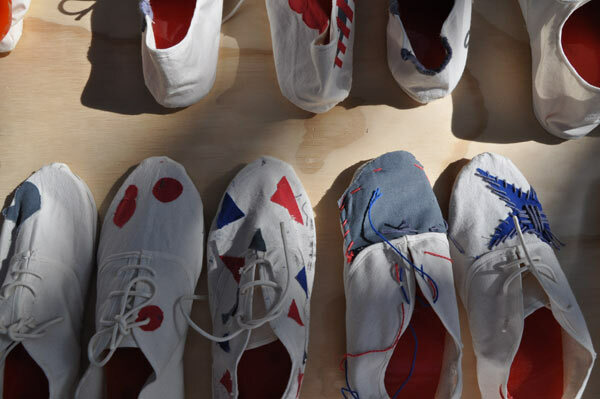 Repair it yourself by Eugenia Morpurgo is an interactive installation inviting the visitor to fix a pair of shoes to generate repair-based skills. 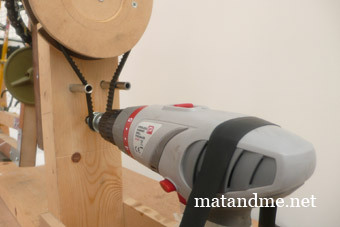 All attempts are filmed and some will be used as tutorials that you can find on the internet. Save as Mine by Maya Ben David and Jon Stam invits designers to design a visual memory on a tile that is inserted in the entry area of The Machine. One of the invited designers was Rotterdam-based Sabine Marcelis. 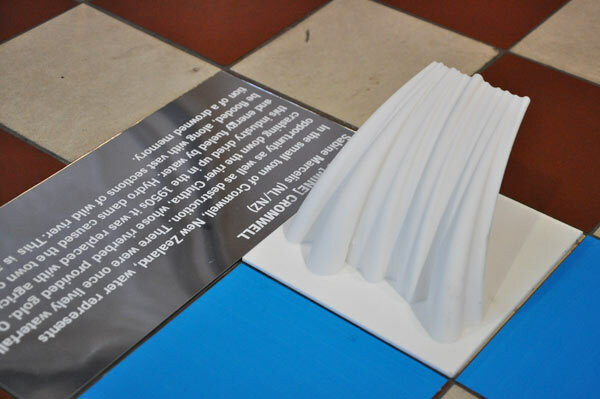 Her 3D printed tile is a memory of Cromwell, New Zealand. SpiderFarm is a constructed place for Spider’s to spin silk for human use. 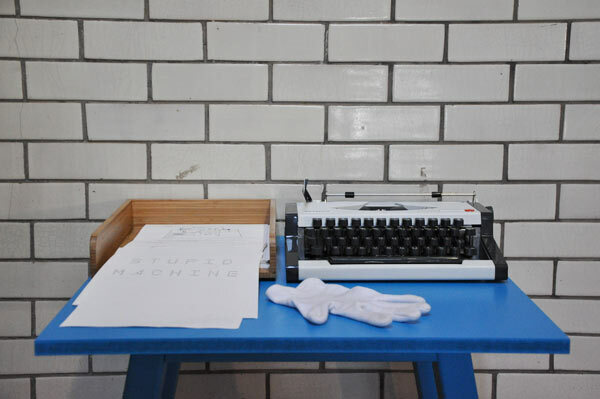 Jinhee Kwon‘s Stupid Machine is a handmade catalogue of the development and demise of the typewriter. 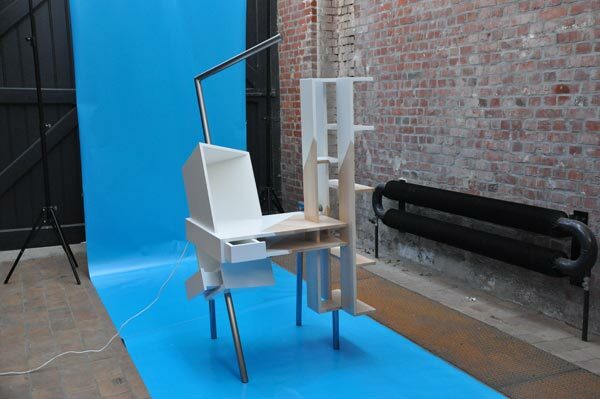 Similar to the Design & Chaos project Itay Ohaly invited designers to design a specific part of furniture. F.e, lampshade is by Naam Bergman and chair’s back is by Agata Karolina. The second project that the Austrian duo presents is ‘The Idea of a Tree’, constructs an objcet determined by solar energy. 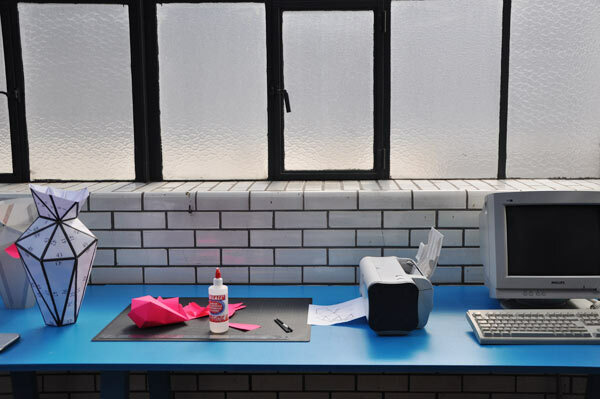 ‘The Metabolic Factory’ produces a form of bioplastic that resamples leather based on human hair by Thomas Vailly himself. 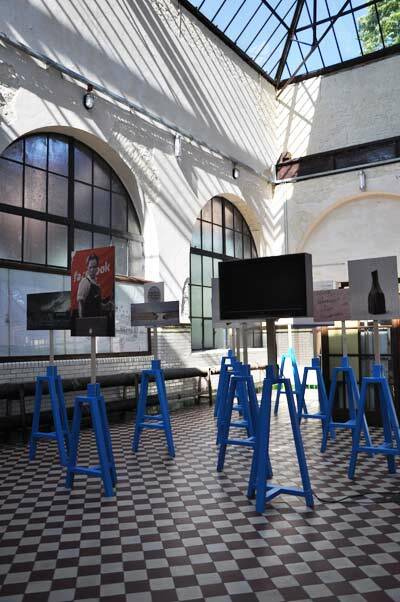 This entry was posted in design and tagged blue key, christian fiebig, Design Hub Limburg, Designing A New Industrial Revolution, eugenia morpurgo, Genk, hacking hope, itazy ohaly, jan boelen, Juan montero valdez, machines, Manifesta, materials, mineworkers, mischertraxler, systems, tal erez, The Machine, Tools by Matylda. Bookmark the permalink.